All new information brought to you by your friendly neighborhood Adminspider. Check in here for all your rules needs, along with any system you need to understand for gameplay. Post character submissions in this Forum. When accepted, they will be moved to the board below. The grand land that is of Humans. 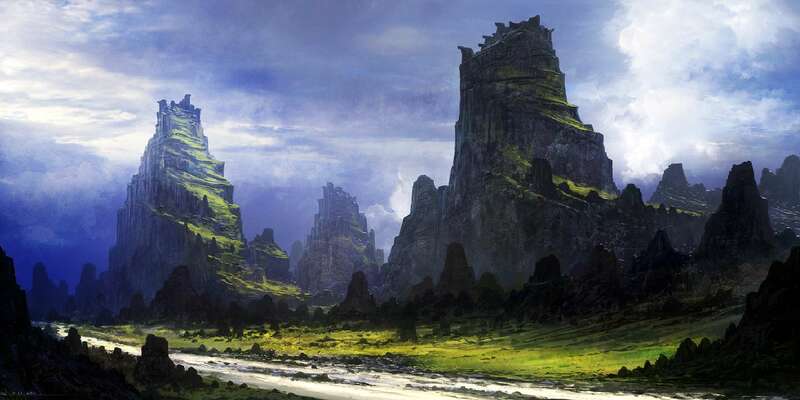 Vast cities of great technology are varied throughout the meadows, background by forests and mountains. Monsters are few and weak, weeded out by the Human expanse. In the west beyond the sea lies the lands to the Elven. They live amongst monsters, even strong ones. Though they live closer to the mountains, they leave all the plains below them for the monsters' home. The natural wall lands of the Golem. For only being directly above the Empire, this place could bode very ill travels for Humans. From the extreme landscapes of rising rocks, pillars or valleys, these mountains carry very powerful flying and earth-centered monsters. For magical creatures and monsters though, this land is natural and loved. The shifting lands of sand, spread over a mass amount of the southern landmass. Wildemen from the Human expansions freed themselves of constraint to live amongst their own tribes and rules. Level 8-18 Monsters roam these sands as their own, constantly fighting off the Wildemen. Noon brings about vicious firestorms, while midnight brings harsh blizzards. Eastward beyond the Grand Desert lies mysterious jungle. Bird monsters and the likes coat this area with their presence. Very little is known about this area, as few have ever crossed either the violent desert or bay and returned. One thing is known though, the monsters have never been lower than Level 20.